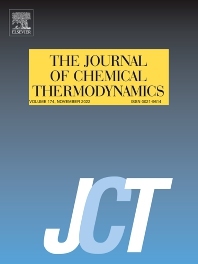 The Journal welcomes review articles in the field of chemical thermodynamics but prospective authors should first consult one of the Editors concerning the suitability of the proposed review. We strongly encourage all authors to use EES at the following URL when submitting papers to The Journal of Chemical Thermodynamics. Please consult the Guide for Authors for further details on the requirements for submitting your paper to The Journal of Chemical Thermodynamics. The guidelines described in this document, as well as those listed in the JCT Style Notes, should be carefully adhered to ensure high-quality and rapid publication of your manuscript.